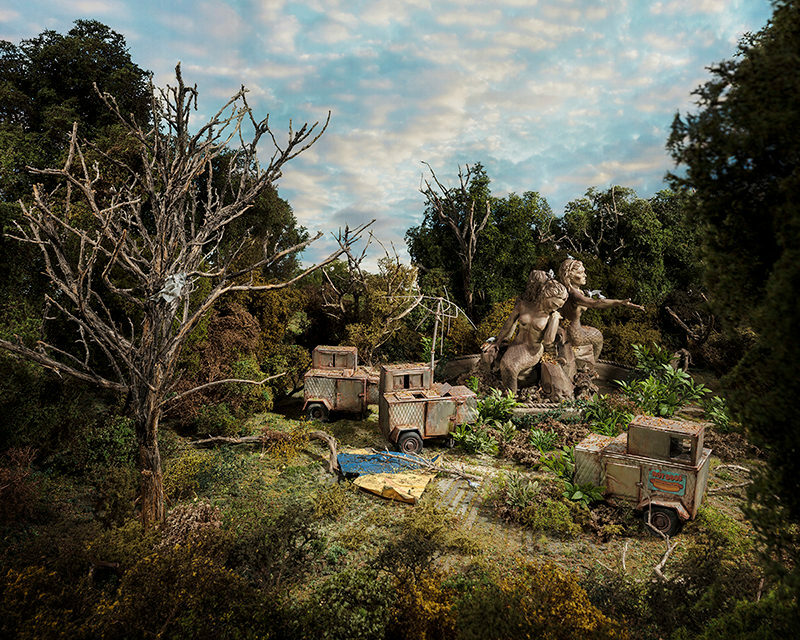 Lori Nix and Kathleen Gerber have been making art collaboratively for over sixteen years. 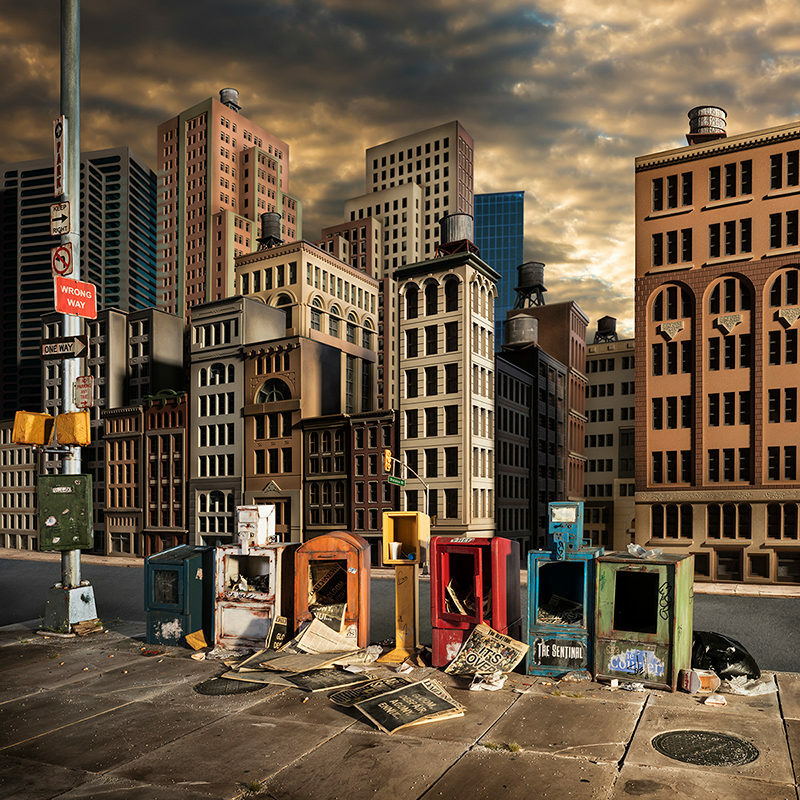 Originally from the American Midwest, now based in Brooklyn, they construct meticulously detailed model environments and photograph the results. 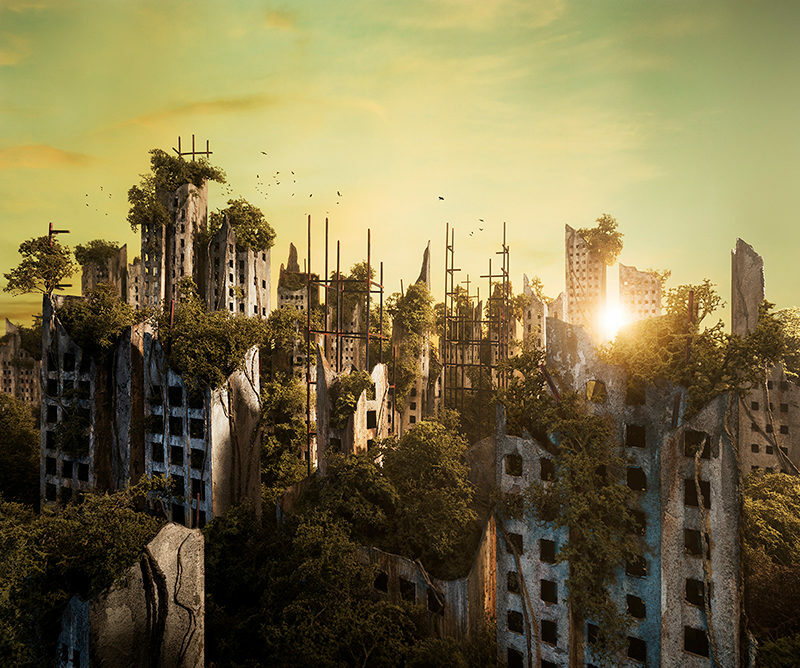 For the last decade they have found inspiration in their urban surroundings, imagining a future mysteriously devoid of mankind. 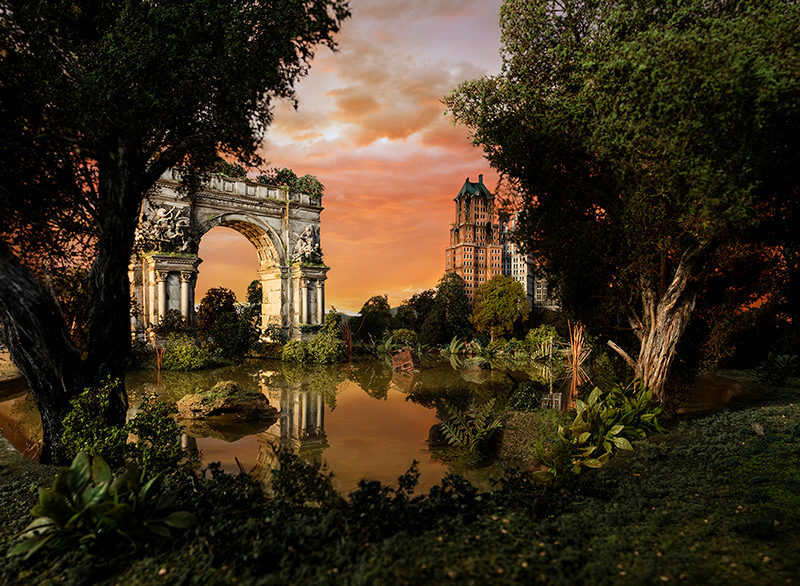 Their miniature fake landscapes and interiors reflect a love of science fiction and dystopian entertainment (think “Blade Runner,” “Planet of the Apes,” “Logan’s Run”), an appreciation for great architecture, and an affinity with the Sublime painters of the Hudson River School. 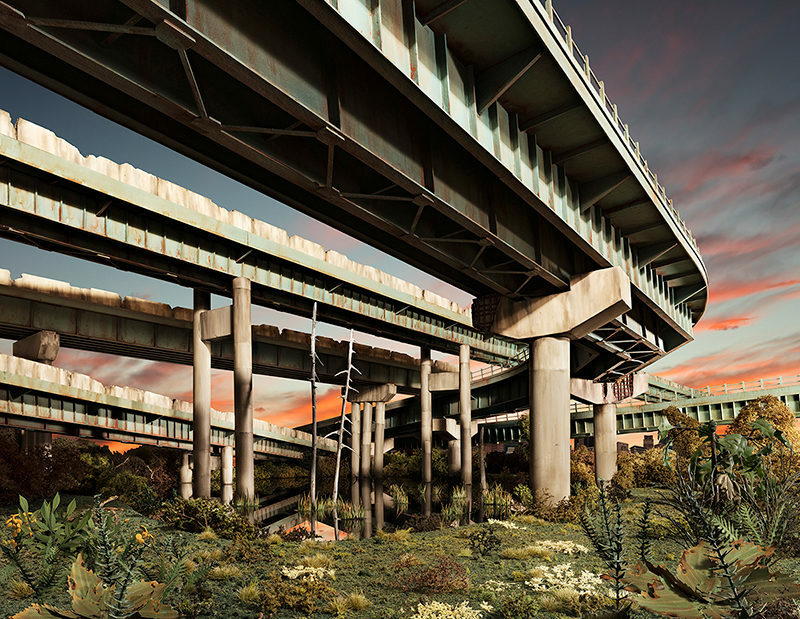 Their images of faux landscapes and gritty urban interiors have gained wide acclaim in both the U.S. and Europe, and Nix is a 2014 Guggenheim Fellow in photography. 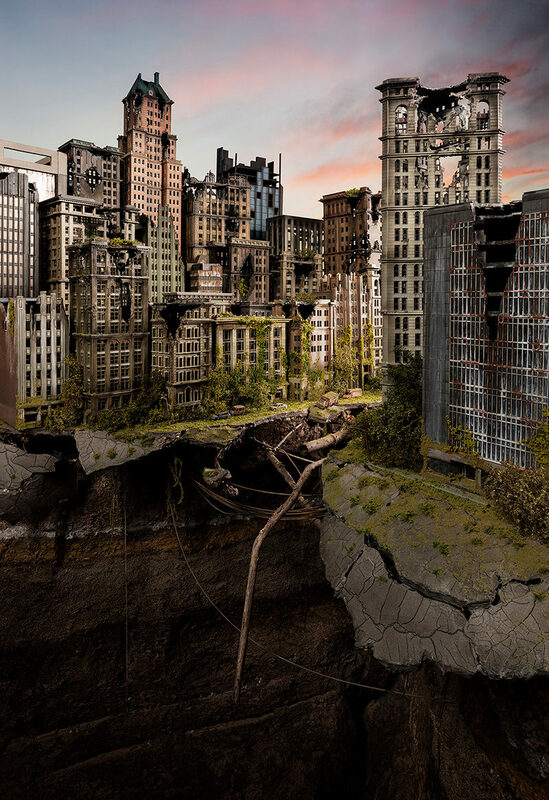 Brooklyn artists Lori Nix and Kathleen Gerber continue exploring a beautiful and unsettling dystopian future in their new photographic series, Empire. 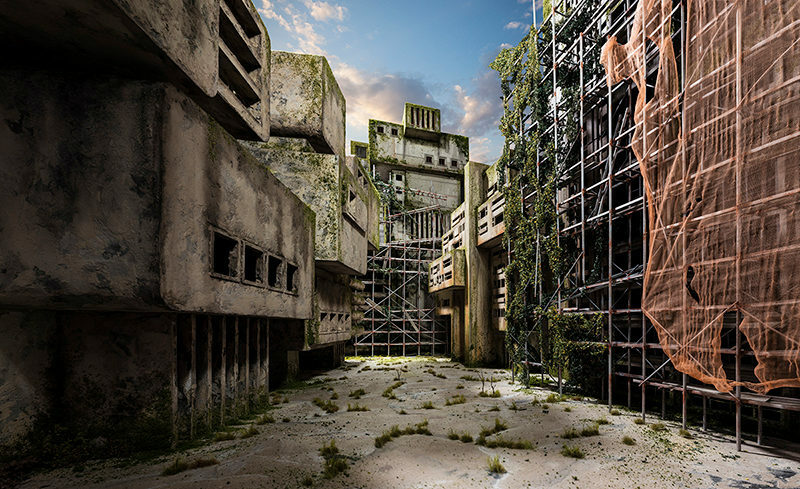 Their constructed landscapes feature lush, complicated cities and public spaces in various stages of decay, transformed by an uncertain climate and a shifting social order. 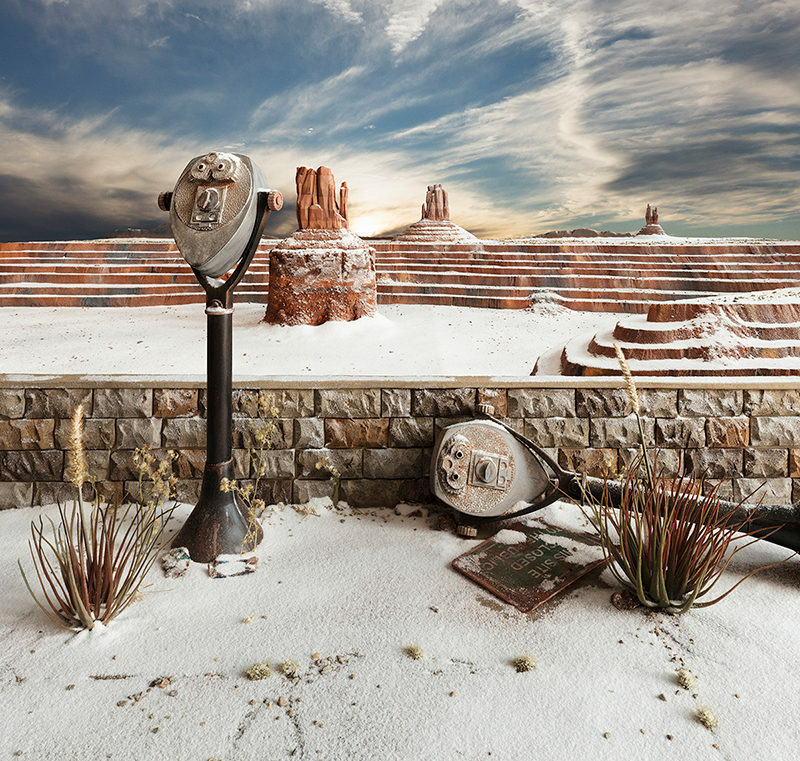 Familiar structures appear abused and in decay, but still echo their former grandeur. 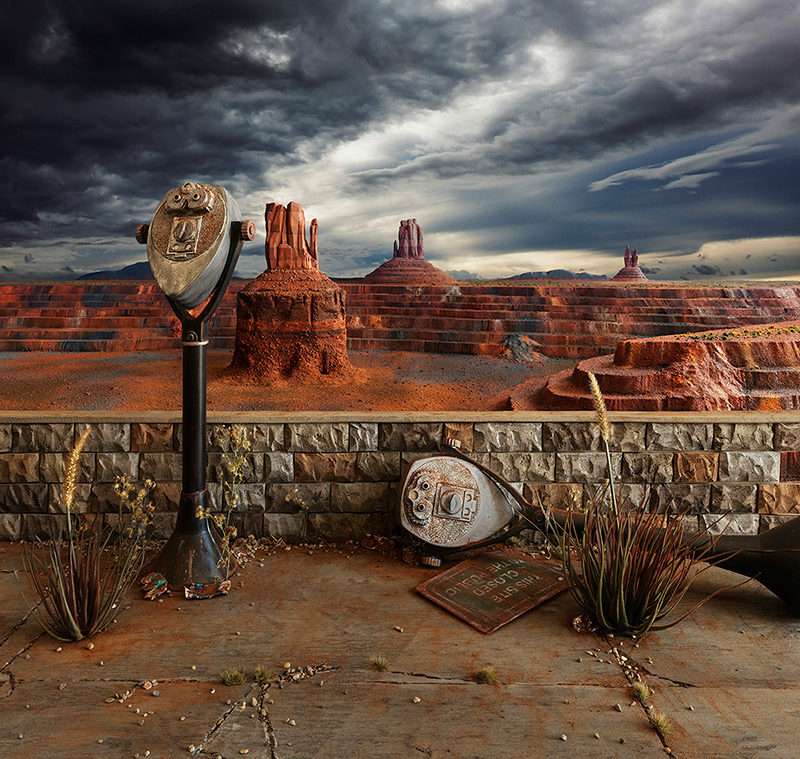 Amid the bright colors and detailed imagery, there is a deep sense of loss for a culture as well as place. What remains is the foundation of something entirely new. Empire opens at ClampArt in NYC on November 30, 2017. To view more of Lori’s and Kathleen’s work please visit their website.